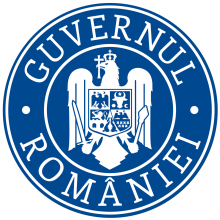 'We mark today Romania’s National Anthem Day, a celebration with a special significance in the Centennial Year of the Greater Union. 'Deșteaptă-te, române!' ('Awaken Ye, Romanian!') instilled courage in Romanians in many moments of the modern history. It mobilized those who gathered in Alba-Iulia, on December 1, 1918, its beats expressing back then the joy of the Romanians’ accomplished will for unity. At present, "Deșteaptă-te, române!" is our national anthem, and we are moved every time we hear it crowning our compatriots’ achievements. We pay homage to this symbol of our nation!